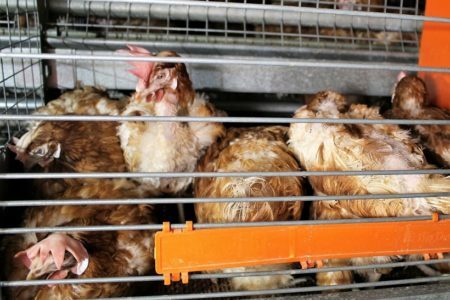 It's time to #BanFarmAnimalCages. 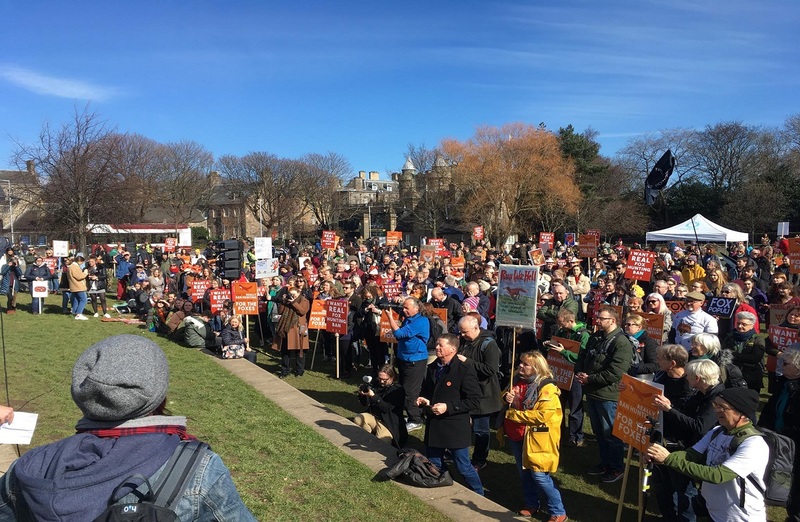 Sign our petition now! 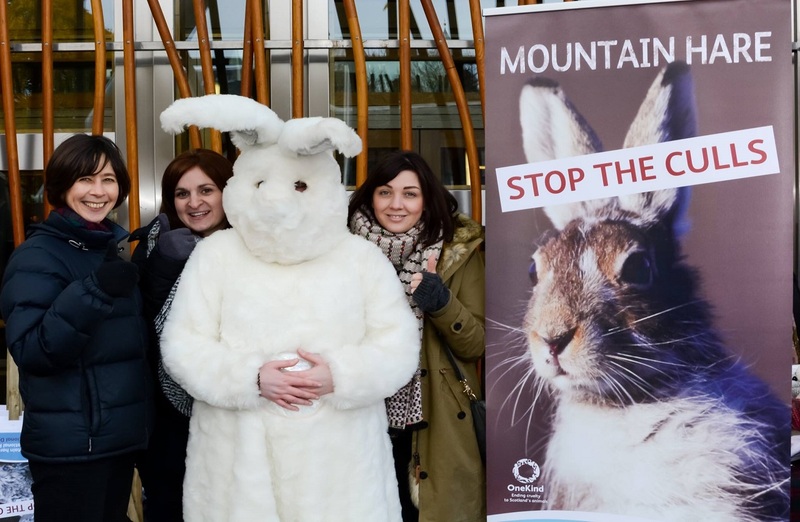 26,000 mountain hares are killed each year.. Sign our petition to end the culling now. 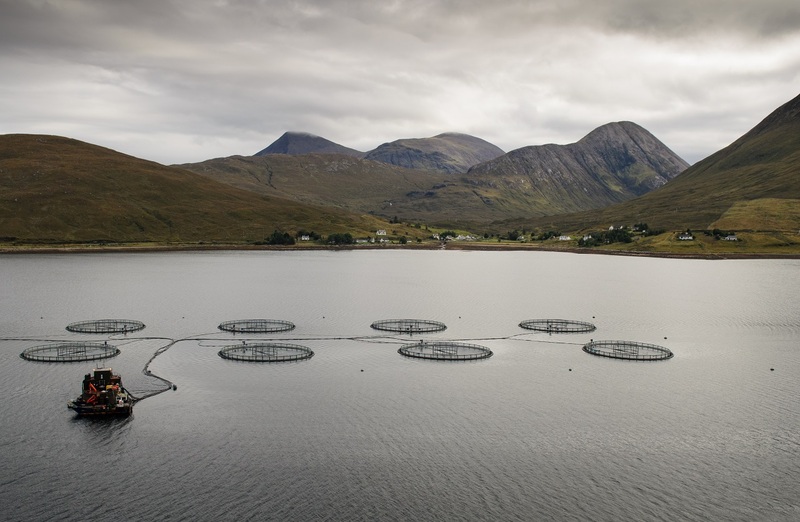 Sign our petition calling for a moratorium on plans to double the salmon farming industry in Scotland until welfare and environmental issues are addressed. 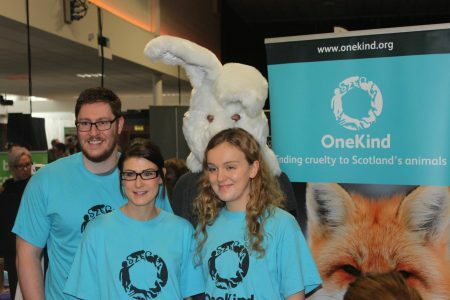 OneKind is a growing movement of people committed to ending animal cruelty in Scotland. 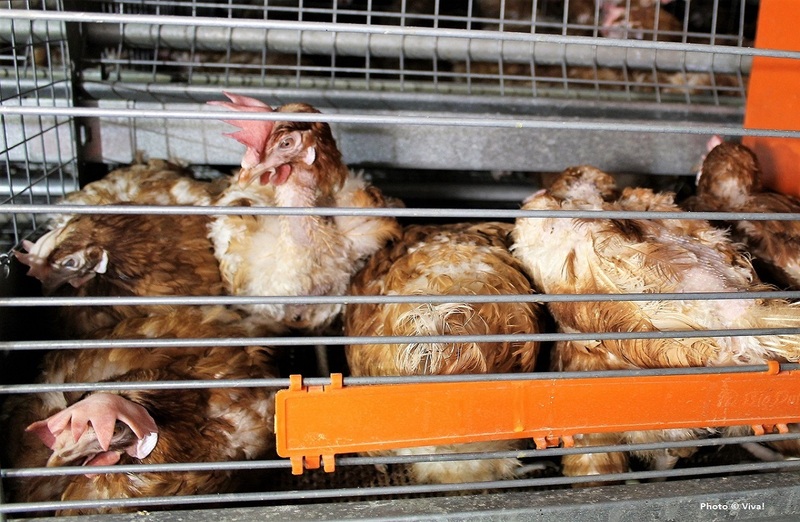 Staffed by a team of five, along with dozens of fantastic volunteers, we work to expose and end cruelty. Imagine how much more we could do if you joined us. OneKind is people-powered! We have volunteers across Scotland campaigning, fundraising and doing everything they can to help us put an end to cruelty. It's time for a #SnareFreeScotland! 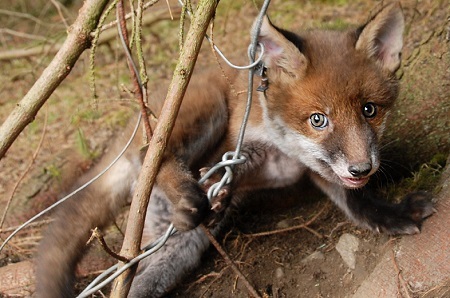 Snares are cruel and indiscriminate traps which cause extreme mental and physical suffering to animals but they can still be used legally, despite animals still enduring immense pain and suffering. 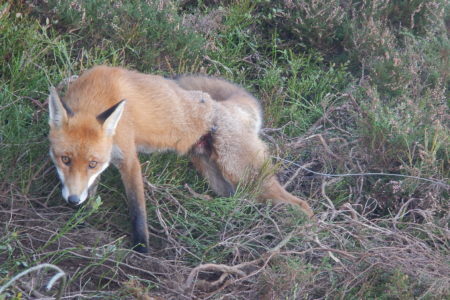 The only way to stop this is with a complete ban on the sale, use and manufacture of snares in Scotland. There are lots of other traps and hunting practices carried out in Scotland and there are ways you can help spot if they are legal or not. Our Lonely Scotland guide available to buy on our online shop and gives lots of information and explains in detail how Scotland’s wildlife is trapped, hunted and killed. With exclusive illustrations and directories of commonly persecuted species, it's really useful for the keen hiker and dog walker alike. Learn how to spot an illegal trap and identify whether you've spotted a crime, and if so, what to do about it. 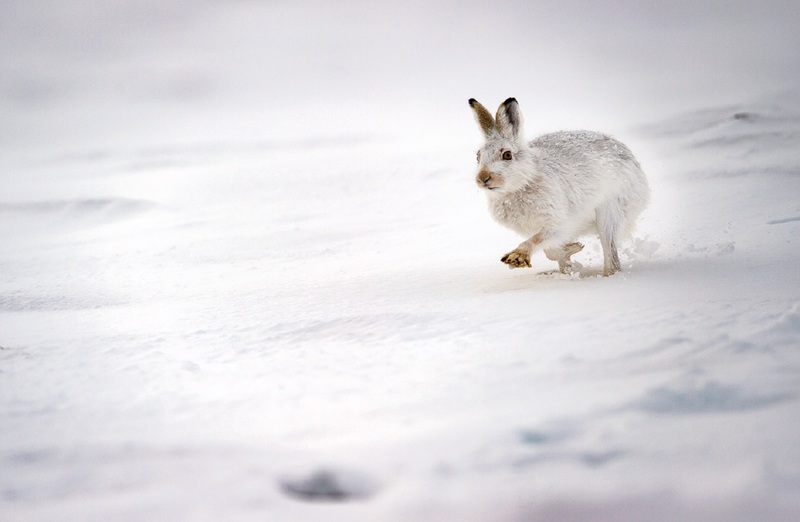 Our Lonely Scotland guide explains in detail how wildlife is trapped, hunted and killed. Learn how to spot an illegal trap and identify whether you’ve spotted a crime, and what to do about it.